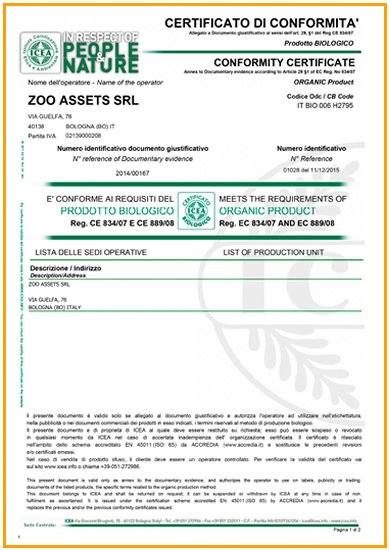 ZOO ASSETS developed an own control program on quality of productions. That provides a continuous verification on suppliers and commercialized products. ZOO ASSETS’ aim is to preserve high standard quality of products and services, ensuring excellent results for their customers. 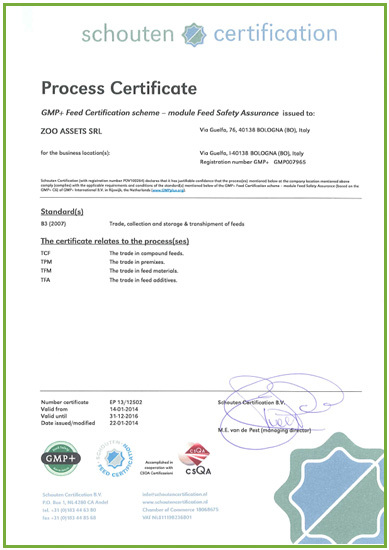 In 2014 ZOO ASSETS chose to certificate itself with the GMP+ B3 standard.